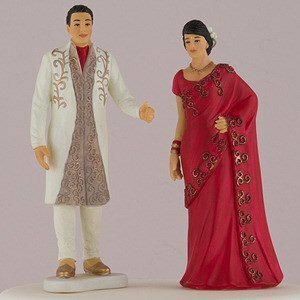 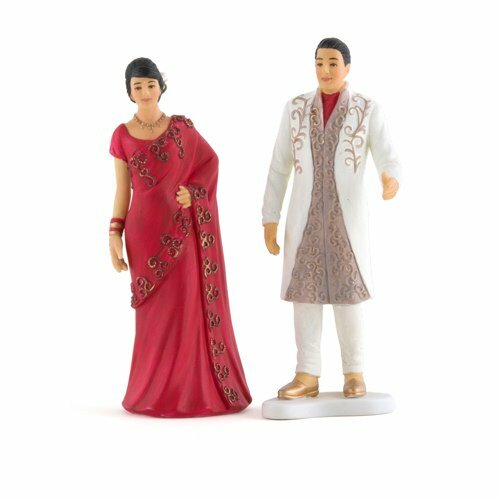 Celebrate your Indian heritage with these traditional hand painted porcelain figurines. 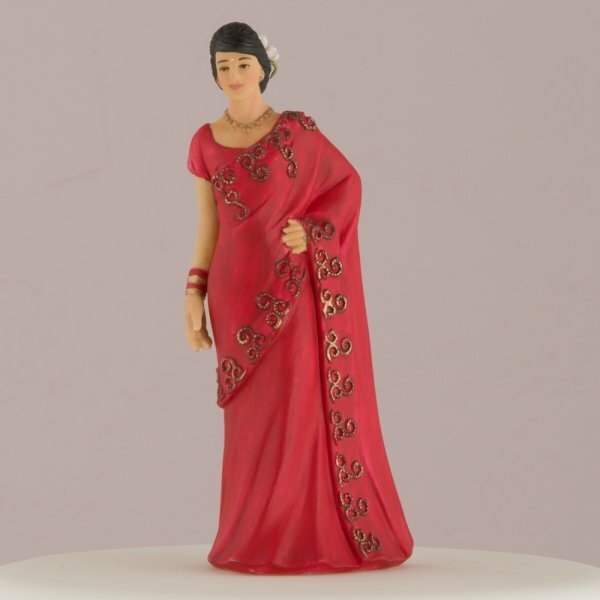 The Indian Bride proudly wears her traditional bindi along with a lovely hair flower. 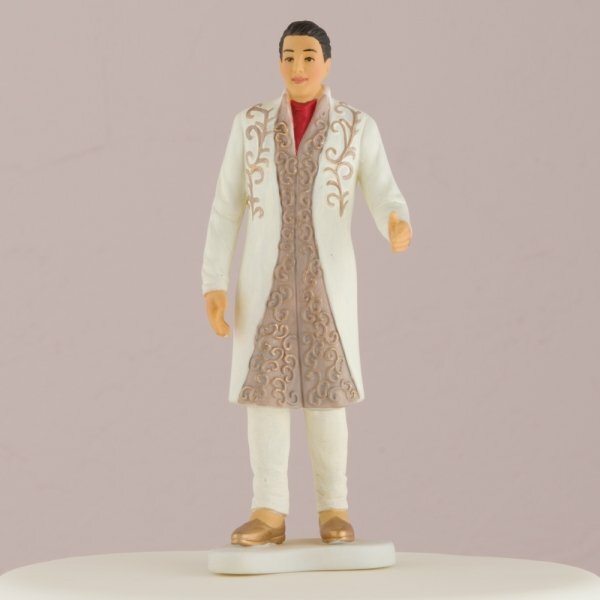 The groom stands tall in his traditional wedding attire with a lovely combination of ivory and gold. 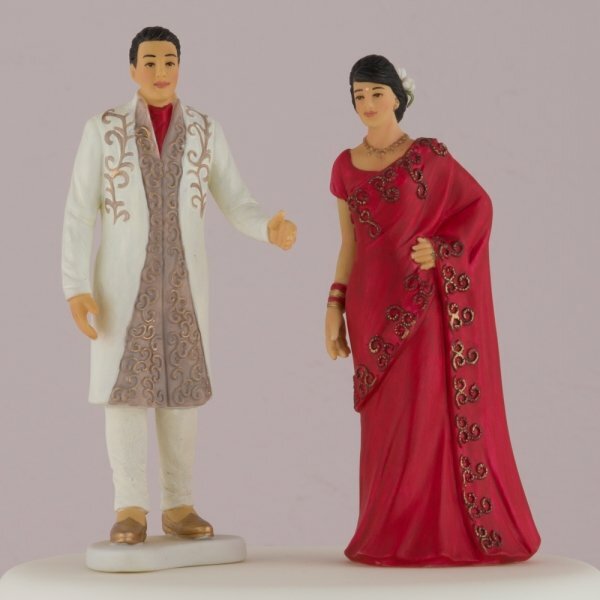 Available separately to mix and match with our other individual brides and grooms. 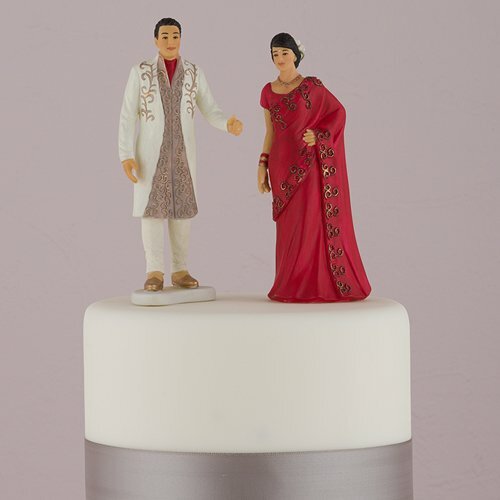 Bride measures 5 1/8" high and Groom measures 5 1/2" high.